Established in 1971 as a sub-contract anodiser, Dorset Aluminium Products has expanded over the years to provide a full in-house manufacturing and finishing service. 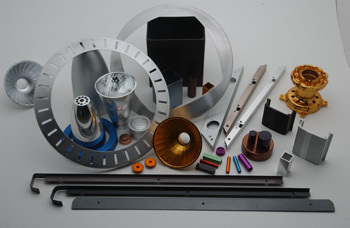 Our broad range of skills includes cutting, drilling, cnc machining, polishing, powder coating, metal spinning, coloured anodising, chemical etching, chemical brightening and Brytal/Electrobrightening. We regularly work with a wide range of products from resistor cases to spray guns, light reflectors to kitchen trims, motorcycle sprockets to cupboard handles, car grilles to precision engineered components. Whatever your aluminium manufacturing or processing requirements call us first for a comprehensive in-house quality service.